The evidence is all around us. A person at work gets a promotion even though I know in my heart that I am the one who always shows up early and leaves late. It’s just not fair! It’s not right! You worked your tail off to earn the starting position, but when the lineup was announced for the opening game of basketball season, you saw your name…on the second team! You went home and told your mom, “Coach always plays favorites! I’m gonna quit!” You made a commitment to Jesus and you meant it. You go to Bible study, attend worship, and tithe each and every Sunday. Since you made your commitment you’ve had to deal with one problem after another, one heartache after another. Your husband announced that he doesn’t love you anymore and he’s filing for divorce. There have been cutbacks at work and they’ve piled your desk with the workload of two of your co-workers they’ve let go, but they haven’t even mentioned a word about compensating you for the extra work. If that weren’t enough, your mom was diagnosed with cancer. You look at the lives of those around you and you don’t see them having to deal with trials and heartache. It just doesn’t seem fair! As we continue our study of the parables of Jesus this morning I want us to turn to Matthew 20 and spend our time this morning taking a look at the parable of the workers in the vineyard. In this story, created by Jesus, we find that the condition of the human heart has always been the same, nothing has changed. Let’s read it together beginning in verse 1. It was too much to ask. Matthew tells us, “When the young man heard this, he went away sad, because he had great wealth.” (Matthew 19:22) The disciples were taking it all in. Their jaws dropped when Jesus didn’t chase the rich man down and lower the bar for him. They asked Jesus, “Who then can be saved?” If a wealthy guy like the young man can’t get in, when we all know people are more than happy to open doors for those with great wealth, then who can be saved? Jesus answered the boys by saying, “With man this is impossible, but with God all things are possible” (Matthew 19:26). What Jesus meant was this: Human effort, trying to accumulate enough good works to impress God with our righteousness, will never ever get you into heaven, but God is able to do what no person can. Right on the heels of Jesus speaking these words we find Peter speaking up. Peter doesn’t say that he gets it, that he finally understands that salvation is by grace through faith so that no one can boast, he asked a question. “We’ve given up everything, so what will we get?” Do you know what’s really amazing about Jesus? He didn’t say, “Peter, when are you going to get it through your thick skull? Your what’s-in-it-for-me-mindset has got to go. You’ve got to empty yourself for the sake of the Kingdom and serve with no thought of what you might gain.” Jesus didn’t say that at all. Here’s what He did say. Those who follow Jesus, those who deny themselves, take up their cross, and follow Jesus, will receive a great reward. Jesus says we will receive a hundred times more than we’ve ever given up. Peter asks about “us,” the disciples, but Jesus expanded the list of beneficiaries to “everyone” who has turned away from their plans for life in order to follow Him. I want to show you one more thing before we look at our parable for today. What I’ve just shared with you comes before Jesus told the parable, but the story I want to show you now follows Jesus’ parable of the workers in the vineyard. It is found in Matthew 20:20-27. The mother of James and John approached Jesus and asked a favor of Him. Jesus asked, “What is it you want?” She said, “Can one of my boys sit at your right hand and the other at your left hand in your kingdom?” She’s planning ahead isn’t she? She wants her boys to have the best seat in heaven, right next to Jesus! I told you, we are always working to make sure we get what we want, what we perceive to be rightfully ours. Matthew tells us that when the other disciples found out what was going on, they were indignant. Why were they indignant? They wanted those seats! I wanted us to take a look at both of these stories because they will make our parable for this morning really jump off the page for you and me. 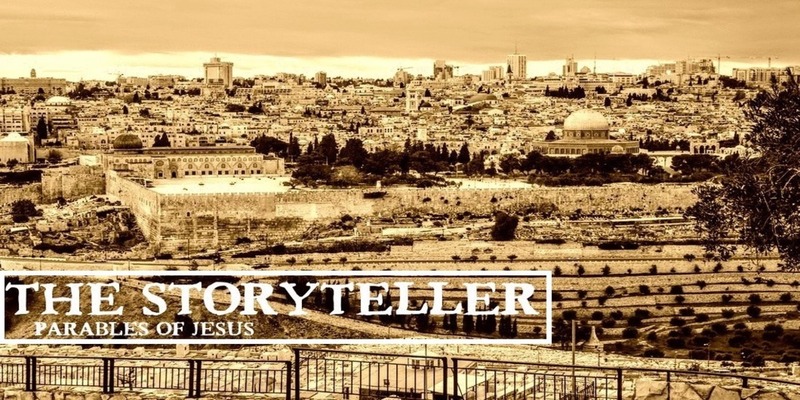 Jesus told a story about workers who were hired by the landowner, the boss man. These were not slaves of the landowner or employees of the landowner who had steady work, they were day-laborers. In Jesus’ day many small farmers lost their farms because of the taxes they owed, but couldn’t pay to the Romans. Many of the farmers, having lost their farms, gathered in the morning in hopes of being hired out for the day. Each Wednesday morning, as I drive in to the church for Bible study a little after 6 am, I see men filing in the front door of Labor Finders. I’ve driven by at all times of the day and as the day goes on the numbers become scarce. Did everyone get hired for the day? As the day moves on do some get discouraged because they didn’t get hired and leave discouraged and hopeless? I don’t know the answer to those questions, but I do know about the day laborers in Jesus’ story. It was 9:00 am when the landowner went back to Labor Finders to get more workers. This time he said he would pay them “whatever is right.” No amount agreed upon, just what was right. He went back again at noon, then at 3:00 pm, and then we read that the landowner went back to Labor Finder’s a final time, this time, at the “11th hour.” There was only one hour left in the day to work. It’s remarkable that anyone was still waiting, hoping to get some work for the day. What’s even more remarkable is that the landowner was willing to hire some folks with so little time left to work. This past week I was reading a commentary on Jesus’ parable and the author said these workers who were hired last were lazy. He said it is implied by the question asked of them: “Why have you been standing here all day long doing nothing?” I don’t think it is necessary to read into this that those who were still waiting were lazy. I don’t think lazy folks would stick around all day long hoping to find work. The lazy ones had headed home by 9 am. I would think that those who stuck around all day were desperate. It could be they weren’t hired because they didn’t look like good workers. Some may have been old, fingers gnarled, hands calloused, and cracked. Their backs bent over and they were feeble looking. Others may have been scrawny, weak looking. Still others may have had “problem” written all over them. When you go to Labor Finder’s you want the pick of the litter, the cream of the crop. You want to pick out those who look dependable, energetic. Those who look like they can work all day long and never ask for a water break. When asked why they were still sitting in those hard metal chairs and drinking that thick coffee at Labor Finder’s they said, “Because no one has hired us.” The landowner said, “Today is your lucky day! Let’s go to work!” The vineyard was a busy place until the day ended. As the day ended, it was time to get paid. There was a strict law in the Hebrew Bible that demanded a worker be paid for his work and paid the day of his work. This is such a good command for us to follow. Listen to what is written in Deuteronomy 24:14-15. I would had given anything to have been there when those who worked only one hour were paid a full days wages. Can you imagine? I’m sure some thought they were handed the wrong envelope. Others were just overjoyed. Once they opened the envelope they went back to the foreman and shook his hand over and over again. Some hugged him until he turned red in the face. The word spread down the line that those who had only worked an hour were paid for the full day. ‘Don’t you know what that means for us? !” They started calculating in their heads how much they would get paid and they all knew they had hit the jackpot! As the line moved forward each group became less and less enthusiastic. They were all being paid for a full day of work, one denarius. Those who had been hired early in the morning had been more than happy to work the full day for a denarius when they climbed in the back of the pickup and headed out to the vineyard. Now, they were not happy at all. We know that from what Jesus shared in the parable. Look at Matthew 20:10-11. “They began to grumble against the landowner.” The Greek word for “grumble,” “?????? ?” (gogguzo), means, “to murmur, mutter, grumble, say anything against someone in a low tone.” The freed Hebrew slaves grumbled about Moses when they were making their way to the Promised Land. The Scribes and Pharisees grumbled about Jesus when He said “I am the bread that has come down from heaven.” And, the workers who had been promised a denarius for their work, who were paid a denarius for their work, grumbled about the pay they received from the landowner. Some have said the parable is about work. We shouldn’t compare what we make with those who work a similar job or we’ll become disgruntled, dissatisfied, and lose the satisfaction we once enjoyed from our work. Some business owners might try to use the parable to justify their unfair labor practices if they are ever called in front of the National Labor Relations Board. The truth is, this parable doesn’t have anything to do with the jobs we go to each day. The parable is about the King and those who labor in His Kingdom. Let me explain. Think about all of the workers who worked in the vineyard of the landowner. Did any of them deserve to be there? No, not one. They didn’t earn their way into the vineyard. They were chosen by the landowner and given the opportunity to work. Those who were chosen early in the morning were chosen by grace, not because of anything they had done. Those who were chosen last had been forgotten by everyone who stopped by Labor Finder’s looking for help. The landowner chose them when nobody else wanted them. They too found themselves in the vineyard solely because of grace. We give ourselves way to much credit my friend. We’ve bought into our society’s belief that we deserve what we have. Do we really? Do we deserve the credit for what we have, what we’ve achieved, and experienced so far in life? Have you ever stopped to think about the many blessings you’ve received that you didn’t do one thing to deserve? Did you grow up in a home where you were loved, cared for, provided for? Did your family or others who took an interest in you provide you with an opportunity to gain a great education? All of that grey matter that gives you a leg up on others around you…what did you do to produce such intelligence? I could have camped out day and night at the Sylvan Learning Center when I was a kid and still not have been as smart as you. You’ve been blessed with a gift my friend. Or how about this, think about the fact that you were born in the United States with so many opportunities, instead of some war torn nation where survival, not opportunities, occupies the minds of the young. We are so blessed! We have been given so much more than we deserve. Paul put it this way when he wrote to the brothers and sisters in Corinth. I know this. Since the day the Lord opened my eyes and I came to know Jesus, to really know Jesus, I have been so blessed. There have been hardships, but He has been so faithful to see me through. Some come to know Jesus and begin to labor in His vineyard early in life. Paul told us that Timothy learned the Scriptures from infancy (2 Timothy 3:15). The thief on the cross came to know Jesus at the 11th hour, while hanging on the cross, clinging to his last breaths. They both were given their great reward and so will all of those who come to Jesus, early or late. That is called grace my friend. It’s all of grace. Every moment, every day, every breathe, every move–it’s all of grace! It’s grace. And here’s the good news. There still more left for you. You may be in the 11th hour of your life. You’ve dug your heels in. You’ve heard about Jesus all of your life, but you’ve shunned Him, mocked Him, and gone about your business as the captain of your ship. I hope this morning the Lord has opened your eyes. I pray this morning you’ve come to your senses and have recognized that the Landowner has come for you. Won’t you climb in and experience His wonderful grace?